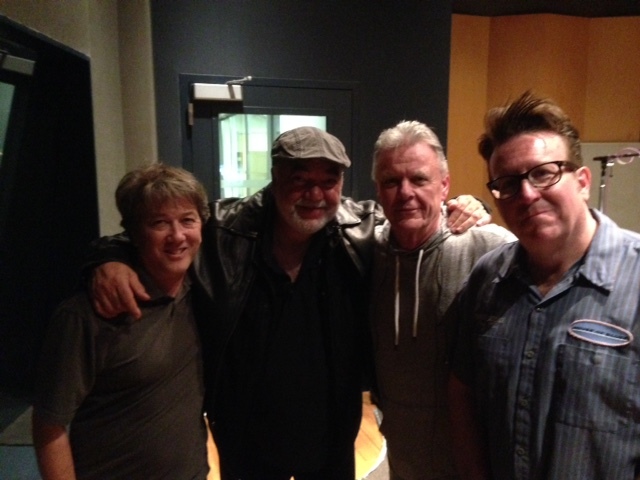 Just returned from LA after having done 3 pretty intense days of recording, at Fox Studios, the music for the movie, Ted2. Big orchestra, great score by Walter Murphy. 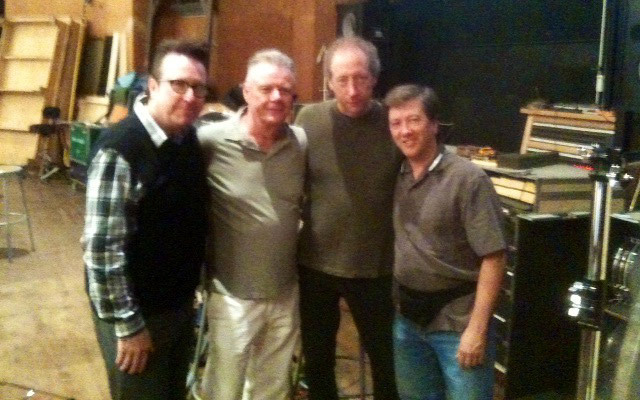 Difficult but very rewarding work alongside my three percussion “partners in crime,” Brian Kilgore, Bob Leatherbarrow, and Bernie “The Leg-Slapper” Dresel. Me with legendary sound engineer, Armin Steiner. Check out this guy’s filmography! 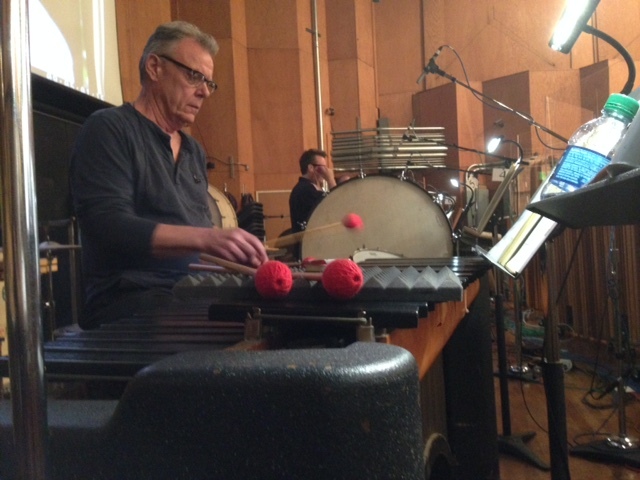 Back in LA at 20th Century Fox recording the season opener of Family Guy (the episode is called “Simpsons Guy”) and the Christmas special, “How Murray Saved Christmas.” As always, great music by Walter Murphy and a great orchestra. 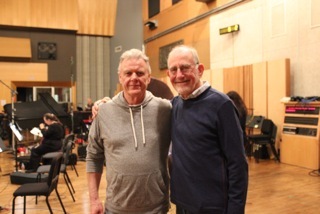 Just returned from Los Angeles, where I played on some scoring dates at 20th Century Fox: a fine 60 piece orchestra (rare these days) and some great music written by Walter Murphy. Heading back for more in August. Within the past year, I have developed a new passion (of course, music is still my second love, first would have to be my wife...) I began writing poetry last year and, call it beginner's luck, one of my poems was accepted and published. I have included it here. Hope you like it. If further proof were needed that purism among jazz musicians is a thing of the past, this lineup should seal the argument. 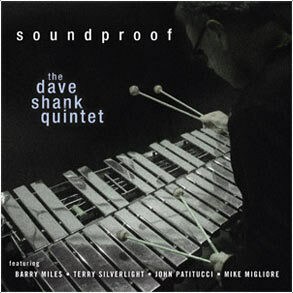 Vibraphonist Dave Shank and his colleagues -- saxophonist Mike Migliore, pianist Barry Miles, bassist John Patitucci and drummer Terry Silverlight -- have worked with everyone from Maynard Ferguson and the Basie Orchestra through Wayne Shorter and Chick Corea to John Scofield, David Sanborn and even Spyro Gyra (to say nothing of Shank's gigs with Frank Sinatra and pop idols like Luther Vandross and Linda Ronstadt). 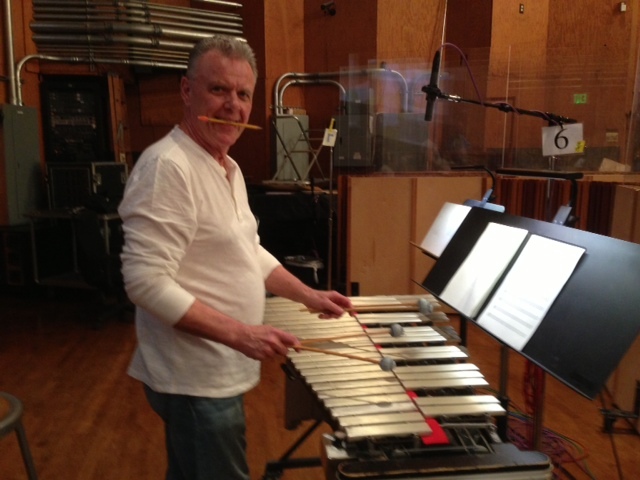 Just returned from Los Angeles where I had the privilege of participating in the recording, at Fox Studios, of Walter Murphy's great score to Seth MacFarlane's upcoming feature film, "Ted." 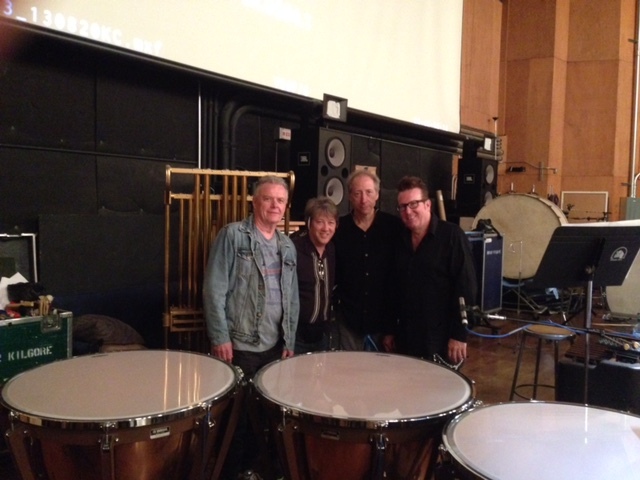 It was great seeing some old "buds" like Rick Baptist, Al Kaplan, and Bill Reichenbach to "drop" a few as well as having a blast back in the percussion section with Bernie Dresel, Bob Leatherbarrow, and Brian Kilgore. The R-rated trailer for this film as already received over a million hits on YouTube! Bob "splang-a-lang" Leatherbarrow and Brian "Mr. Hands" Kilgore. Great hang!! Radiodirectx is pursuing airplay worldwide. Please call in and request. Most appreciated! Look for a review of my CD, "Soundproof" in the spring issue of JazzTimes. I'll be in Los Angeles in April to do all the sessions for the feature, "Ted", written and directed by the always hilarious Seth MacFarlane, and scored by Walter Murphy. 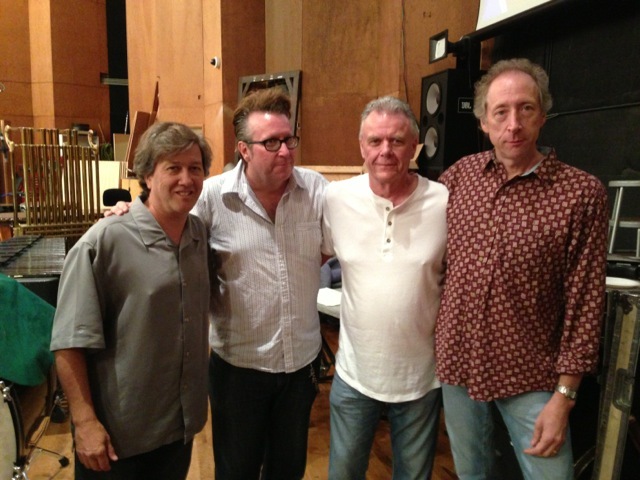 Always great to get back out West to see friends and record with the "crème!" And Walter's music is always exemplary. Sessions will be at Fox Studios. I've been composing regularly and have completed fifteen tunes so far. I'm hoping to get back in the studio sometime this year.